MEXICO CITY — Mexico's efforts to calm critics of its newly formed National Guard received a boost Tuesday in the form of an agreement from the United Nations High Commissioner for Human Rights to assist in the force's training. 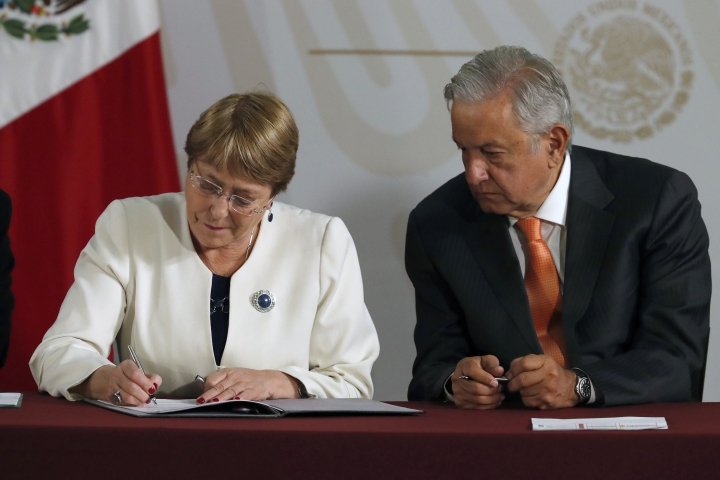 High Commissioner Michelle Bachelet said that her office will offer technical assistance to ensure that Mexico's new security force respects human rights. 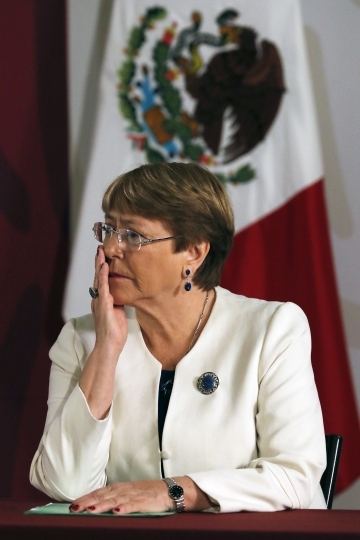 "Experience shows us that you can't have security without full respect for human rights and you can't enjoy human rights without security," Bachelet said. 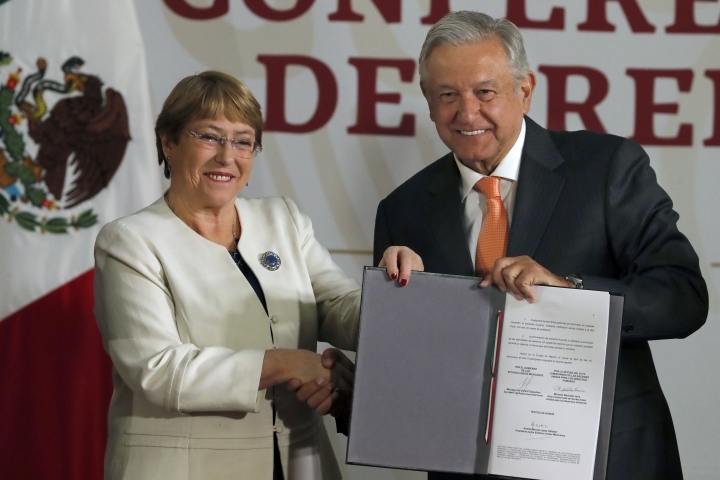 U.N. human rights experts had been outspoken in their criticism of President Andrés Manuel López Obrador's efforts to reform the constitution to give the military a formal role in the country's policing. He eventually agreed to place the National Guard under the civilian public safety minister, but has insisted that it will be led by an active duty military officer. López Obrador said he will name the force's commander Thursday. It will initially be made up of military police from the army and navy, as well as some federal police, but recruitment is underway. López Obrador took office in December ready to scrap the Federal Police, which he said never came together as expected and replace it with the National Guard. The leftist president has lavished praise on Mexico's military, surprising some, insisting that only the military has the necessary discipline and respect of the public to get a handle on the country's internal security. 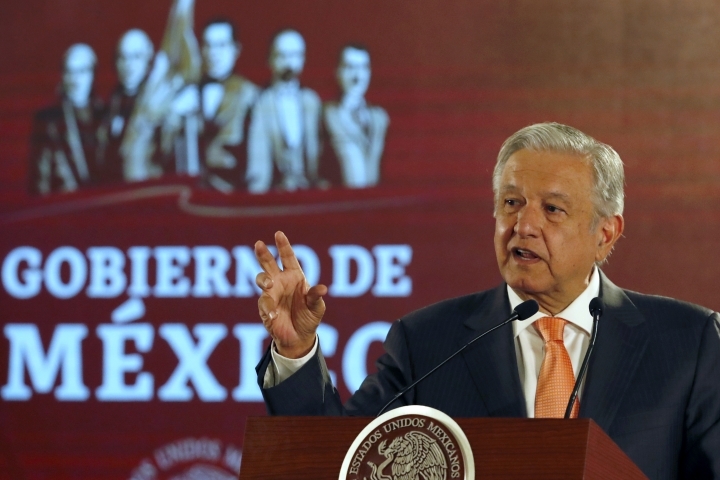 "We are going to carry out this change to guarantee security without violating human rights," López Obrador said. "We want Mexico to open to international observation." Bachelet said "the creation of the National Guard could open the opportunity to create a new civilian police force capable of fighting the overwhelming challenge of organized crime," without explaining how. Bachelet called Mexico's crime numbers "terrifying," noting "Mexico has numbers of violent deaths worthy of a nation at war; 252,538 since 2006." 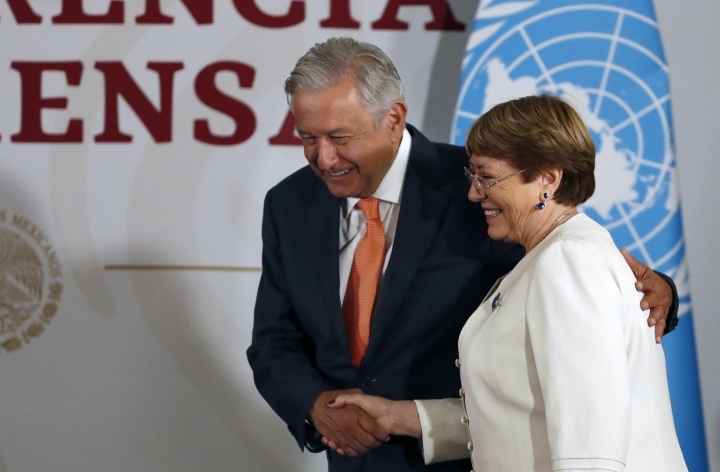 Bachelet said the U.N. would be willing to help Mexico integrate its forensic files on the country's 40,000 missing people, and strengthen its capacity to find clandestine graves and identify bodies.